The Society of St. Vincent de Paul is evidence of the power of a single individual. Originated by Frédéric Ozanam in 19th century France, the society has since established 143 councils in 140 countries and now has 800,000 members worldwide. 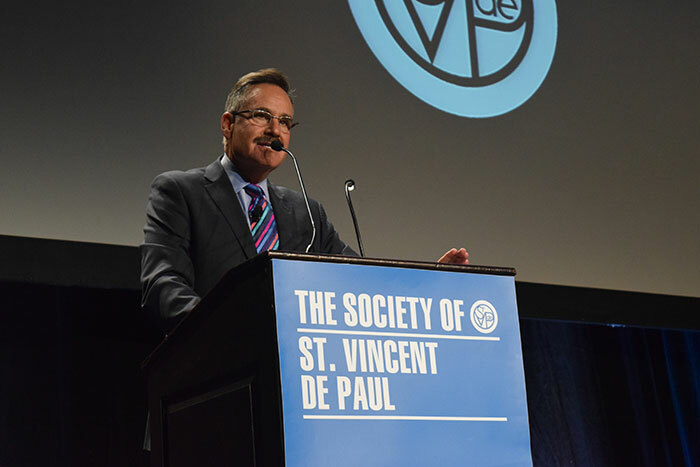 The Phoenix council of St. Vincent de Paul is one of the largest in the nation. Its 89 Conferences of Charity coordinate over 6,000 volunteers to fulfill the society’s mission of serving the homeless, providing medical and dental care for the poor, feeding the hungry and giving hope to the less fortunate. This past year, the Phoenix council of St. Vincent de Paul cared for 17,500 uninsured medical and dental patients, sheltered 38,700 homeless individuals and families, harvested 40,000 pounds of food from their urban gardens, and served 10,000,000 healthy meals in their five charity dining rooms. We at DriveTime are humbled by all the good that St. Vincent de Paul does for our community, which is why they can count on us for annual donations of time and money year after year. We encourage employees to seize the many local volunteer opportunities provided through the organization. Regardless of our differences and beliefs, giving back to our community is something we can all agree upon. 12 News Anchor Mark Curtis presenting at St. Vincent de Paul’s Restoring Hope Fundraiser. This holiday season, join the common good by volunteering at St. Vincent de Paul and giving back to the community in whatever way you can.